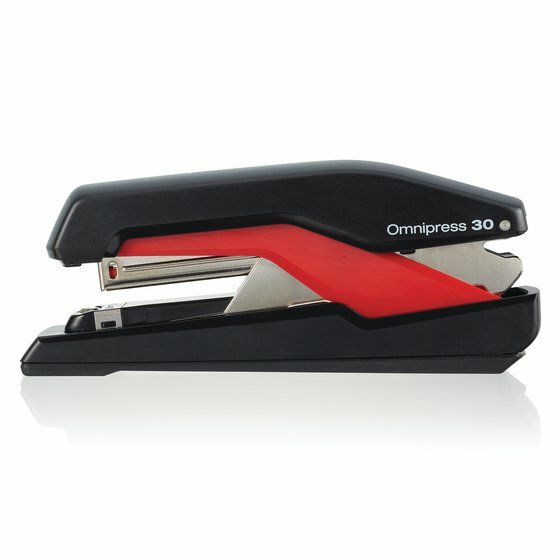 Durable plastic body with inner metal construction for long-lasting performance. 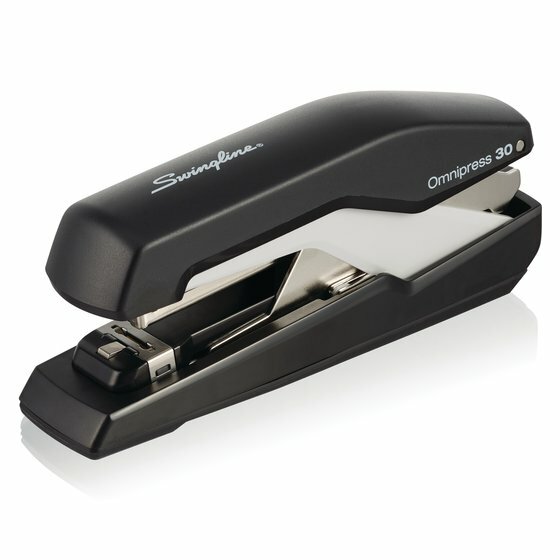 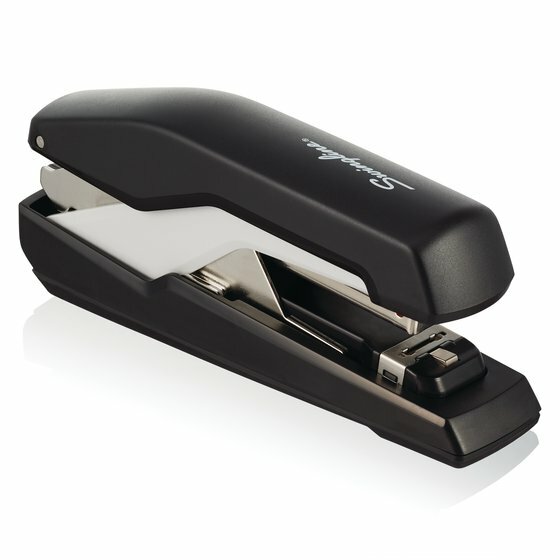 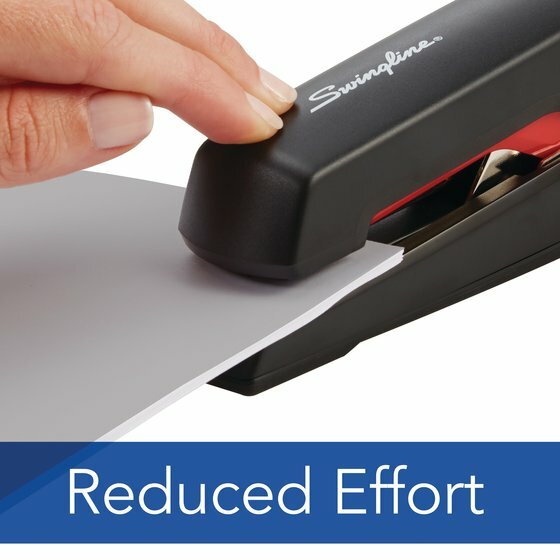 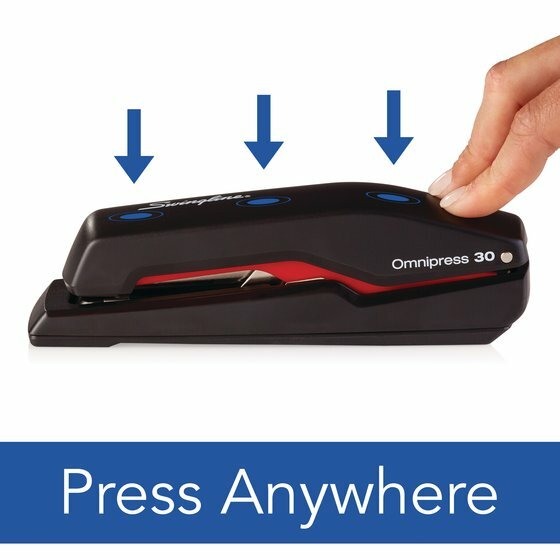 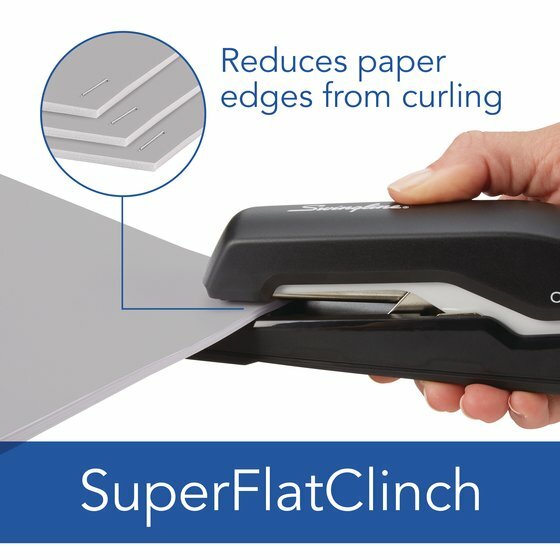 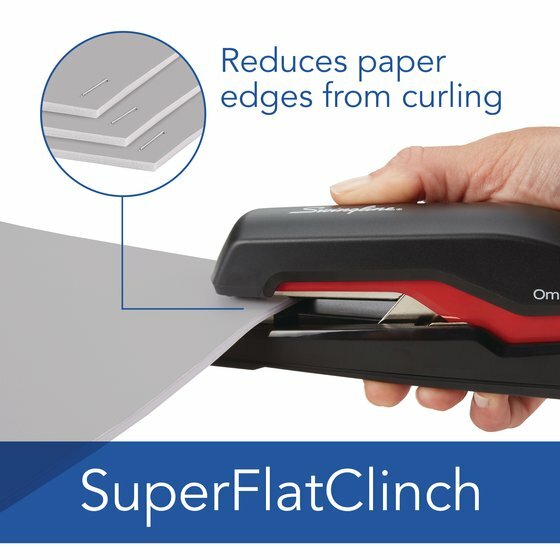 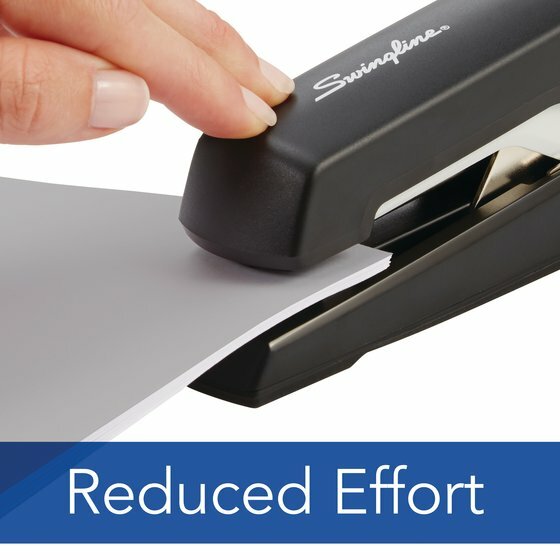 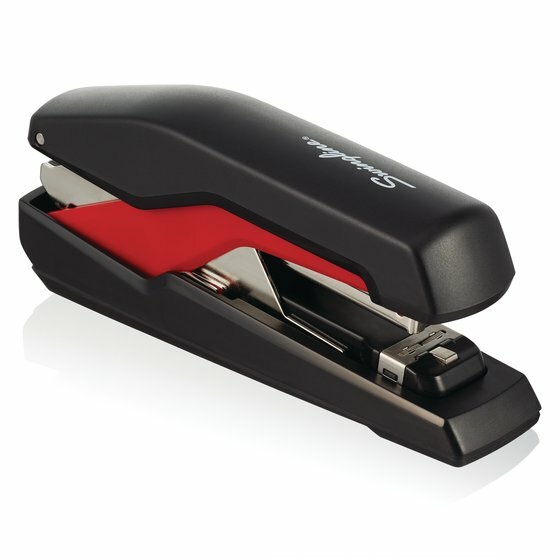 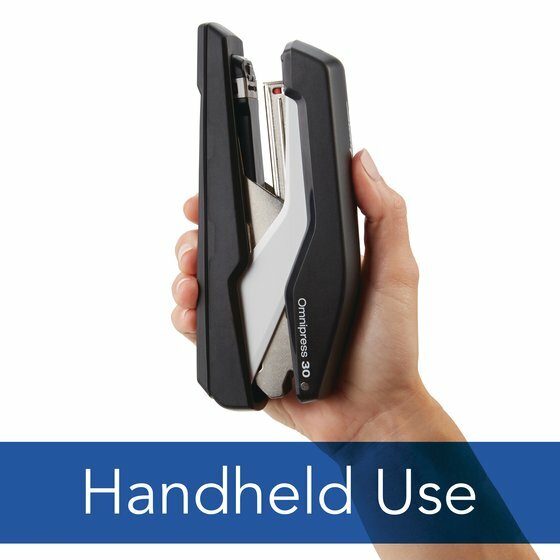 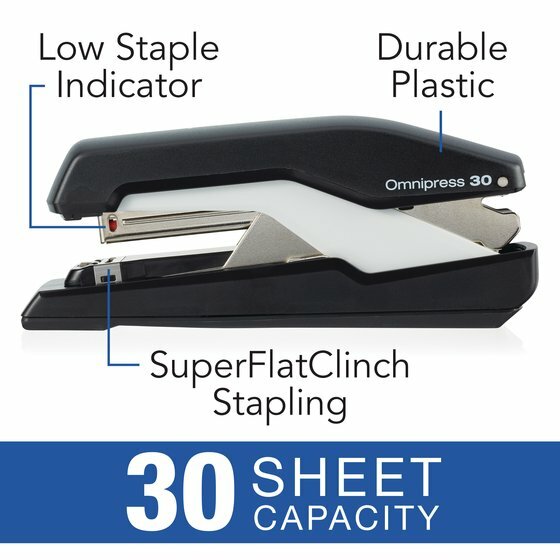 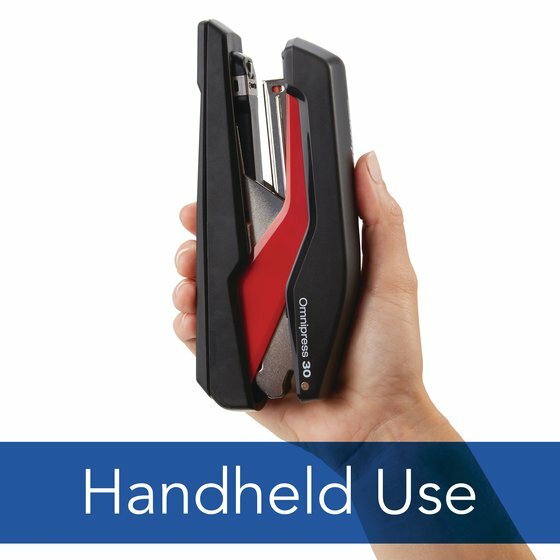 Staple up to 30 sheets at a time with less effort than traditional staplers. 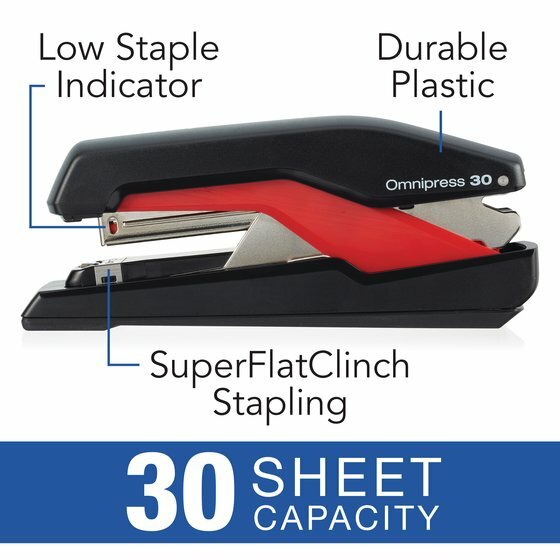 Top loading stapler holds a full strip of 210 staples. 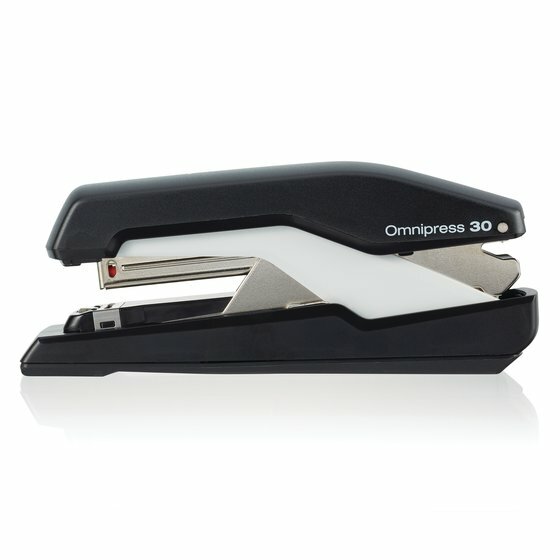 Available in two color schemes. 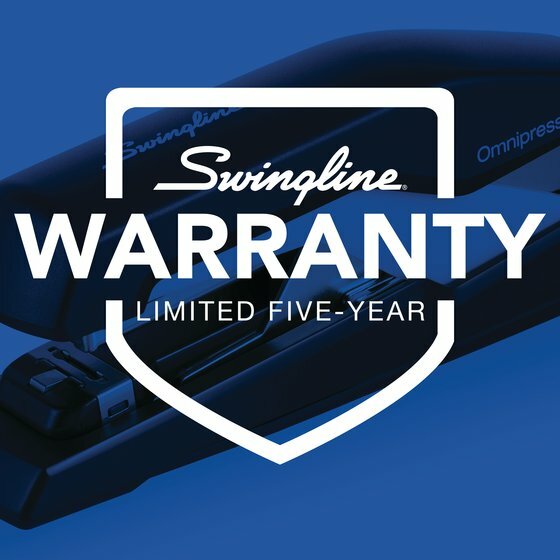 For best results, use Swingline S.F.® 4® staples. 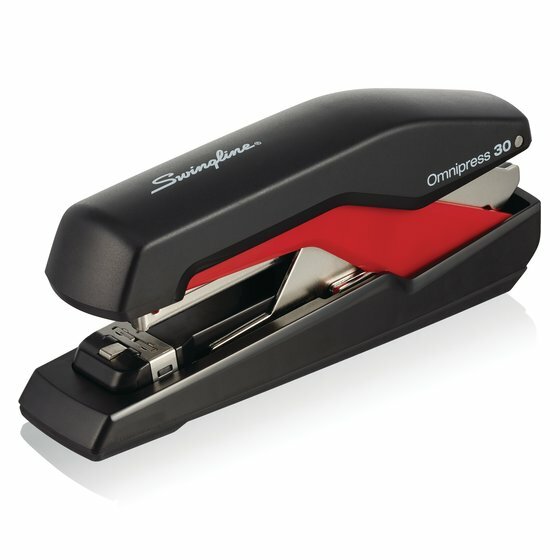 Starter set of staples included. Five year warranty.